This is the beginning of my "blog". Any number of my customers and friends have said i should start one, just to inform, particularly my customers, of new items coming in and answer any questions women may have regarding care of linens, or answer requests for particular colors of tablecloths or tea towels. For the spring season, i think a number of you have seen the new printemps tablecloth from france. it is in tones of yellow/gold with a light green border. flowers are scattered throughout. Sizes i have available are 63" square and 63" x 98/100". It is made in France and has teflon finish to avoid stains. The 63" square is very popular. Another request i often get is for small square or round tablecloths. 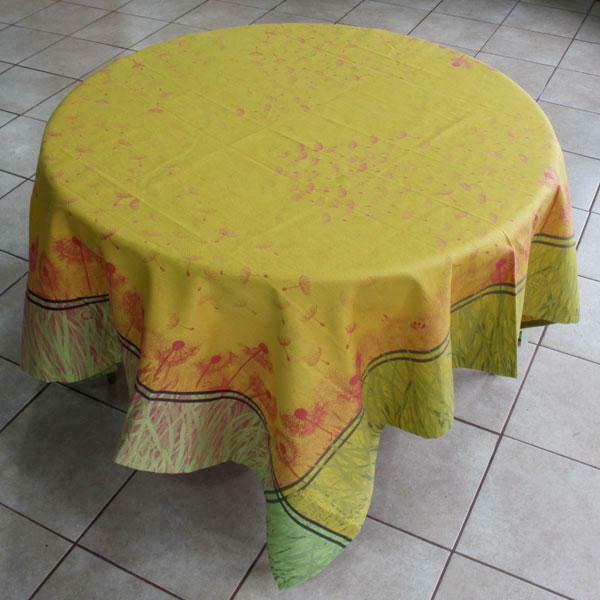 The new "cafe" style table is now popular; however, France does not make tablecloths this small. Garnier Thiebaut does carry 45" square cloths, but Garnier, as many of you know, is expensive. We are talking $100. minimum for a cloth. Hooray! Your blog is finally on the air!